After I decided to make climate change and the environment my issue, I searched "climate change" on my library system webpage and first got a lot of either kid books or books that looked overly alarmist. Then I was surprised to see a recent book by a well-known novelist, Amitav Ghosh. 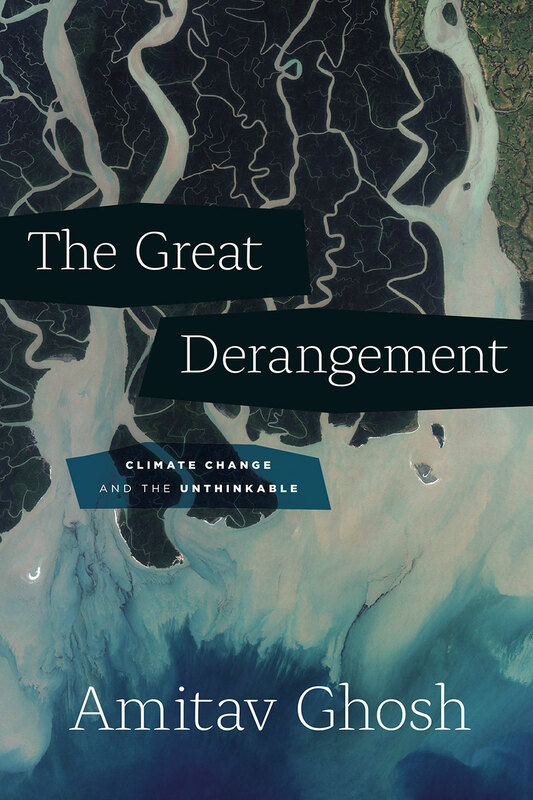 The Great Derangement: Climate Change and the Unthinkable, is based on four lectures that Ghosh gave at the University of Chicago in 2015. It's a short book--only 160 pages--but I'm still absorbing and thinking about its ideas weeks later. The book is divided into three parts. The first, which takes up half the book, is called Stories and it mainly explores the current state of fiction and literature and why Ghosh believes it rarely addresses climate change even though this is something looming quite large on our human horizon. 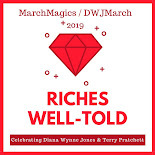 He wonders why books that work all-too-real future scenarios into their plots are immediately shunted off into the fantastical bin of science fiction. He also tells his own story of being caught in a freak weather event as a young man and how this underlying story in his life has occasionally surfaced in his own fiction. This section of the book was frankly completely unexpected but utterly fascinating as a reader and I can only imagine it would be even more so for a writer. The details are explored in both his home country of India and his adopted home of New York City and it was eye-opening to explore the problem of climate change perception from opposite sides of the globe. The second part of the book is called History and was equally fascinating. Finding out little known tidbits about Asian history (like the history of oil production in Burma) and exploring the effects of colonialism on emerging carbon-based economies was yet another aspect of climate change that I had never considered. One tends to gloss over the past and look to the future for solutions but an understanding of the past enhances the picture of what we are facing and why. The final part of the book is Politics and was every bit as disheartening and frustrating as you might imagine. I was honestly in tears while reading one passage that voiced the futility of many of our efforts as individuals and citizens because of the far-stronger forces of corporations whose interests do not line up with an effort to combat climate change. As I was making calls to my Senators denouncing a political appointee who obviously detested the organization that he was about to head, I was forced to acknowledge that my voice would never be as loud as the dollars that were flowing in to the opposing party from powerful fossil fuel barons. I honestly set down the book at that point and questioned my choice to choose this issue as my battleground. But eventually I picked it up again and found small glimmers of hope -- from the words of Pope Francis in his Encyclical Laudato Si' in regards to our stewardship of the Earth to the ability of the U.S. Defense Department to ignore the politics of the day and focus on the real effects climate change will have on our nation and world. 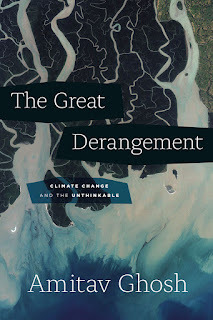 This book is not an easy read, probably more so because it doesn't delve into any of the unemotional science of climate change but rather into the souls, imaginations, and intentions of flawed humans. But, if we are to survive the Great Derangement--this time when we focus too much on self when a global viewpoint is essential to survival as a species--we need a change in attitude and focus as much as we need technological innovation. I am grateful to Ghosh for tackling this tough subject in a completely unique way. Huh. What a cool idea for a book. I'm very much interested in this unique-sounding perspective. I think I might skip the Politics section entirely, though! That does sound like a difficult read but also important. Definitely. It certainly prompted me to evaluate my viewpoint on many things, not just climate change. I like the sound of this one but, I feel like I need lighter reads these days. Have a great week. I entirely understand that. I'm doing like 90% lighter reads just to stay sane!